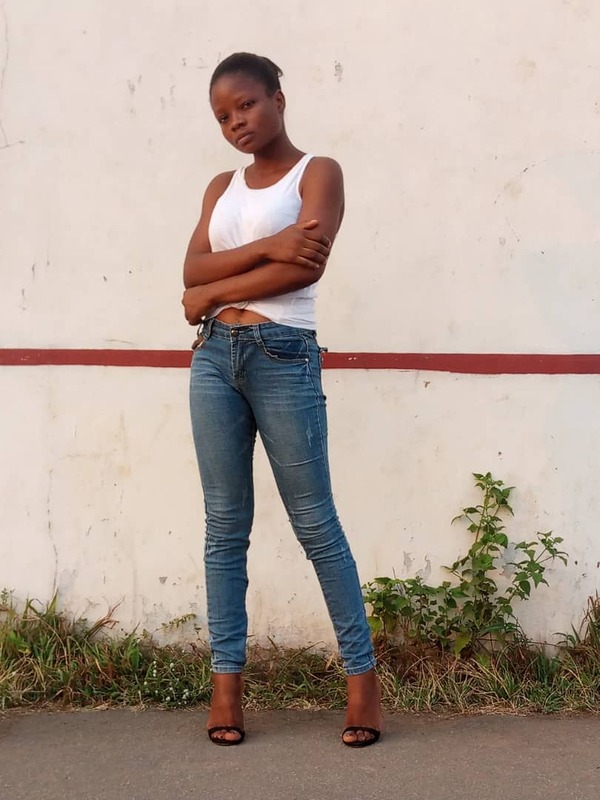 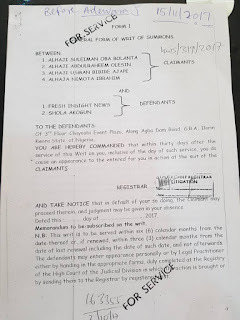 Fresh insights and Shola AKOGUN could be slammed a fine of N1,000,000,000 before Justice Adewara as general and aggravated damages against the defendants jointly and severally for libelous words falsely, maliciously and recklessly published by defendants of and concerning the claimants in the online issue of Fresh insights news of 13th September, 2017 under the caption “Ilorin East Bibire Ajape, Bolanta, Oleshin and others, fingered in million naira bribery scandal” published on the internet to this day. 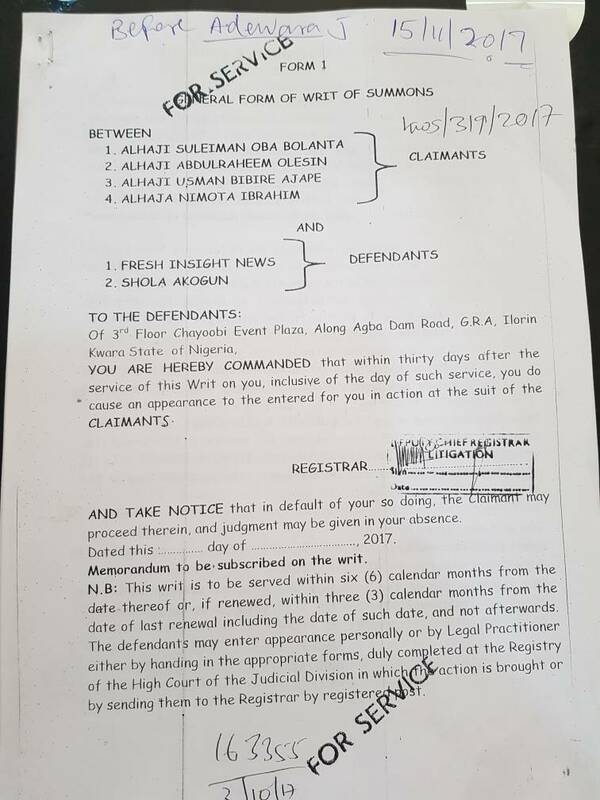 An order of injunction restraining the defendants from further writing, printing or causing to be written, printed or circulated or otherwise published of the claimants the said or similar libel. 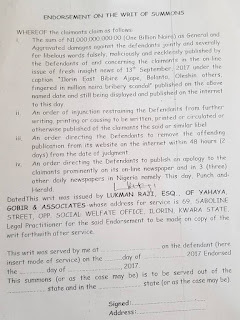 An order directing the Defendants to remove the offending publication from its website on the internet within 48hours (2 days) from the date of judgment. 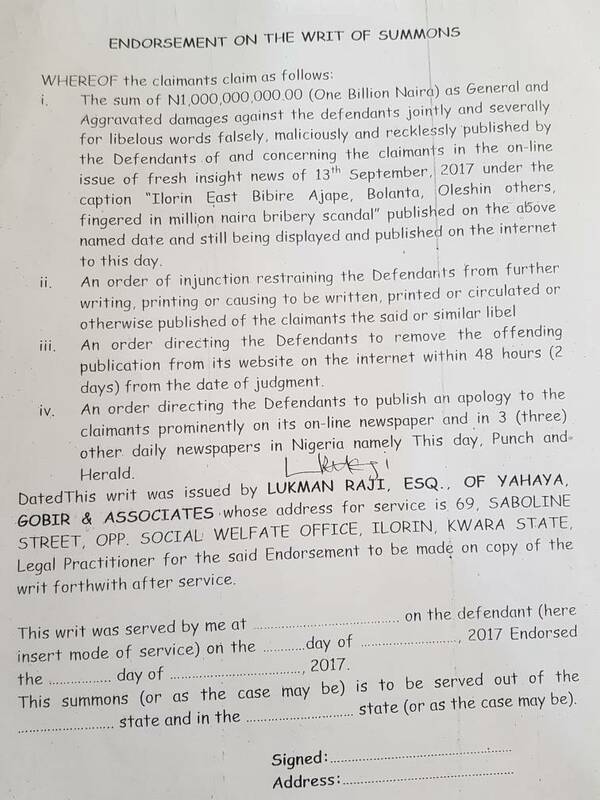 An order directing the Defendants to publish an apology to the Claimants prominently on its on-line newspaper and in 3 (three) other daily newspaper namely; This Day, Punch and Herald Newspaper.